V. Dorset are a Poole-based business offering all types of mobile catering including weddings, parties and street food. 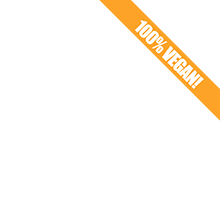 We are 100% vegetarian and skilled in vegan cookery. Our head chef has a background in fine dining which she uses to create stunning meat free menus suitable for all types of events. A huge selection of vegan cakes available, from tasty cupcake treats by the box, to decorative celebration and wedding cakes. You can trust that you're getting something that is special and lovingly made by someone who really cares. Food is my life and being a committed vegetarian for over 35 years, I have perfected some great popular vegetarian menus. Having a professional chef for a mother meant that food was an important part of my life. Mediterranean and Middle Eastern cuisine featured daily and I carry that theme through my food today. It took two of us to make one mad cucumber – crazy little girl and clever but bald guy. Everything is made from scratch, by hand, from mainly local, seasonal and organic ingredients. Come dine with us and find out for yourself that greens can be tasty. For sure it won’t kill you so why not give cucumber a chance. Get in touch if you need vegan catering for a small-scale private event and we might be able to help. Vegan Power in a Cake! 100% vegan cake company based in Bournemouth, specializing in home made baked and raw cakes! At Vegan Heart Cakes we take pride in what we do. We are seriously passionate about our food, and we put all our heart into the cakes and guarantee everything is prepared fresh and with love. We care about the quality of our products and this means no nasty ingredients, mostly organic and gluten free goodies, and coming straight from the heart makes some heart shaped! We supply cafés, bars and individual customers, groups and parties. Sweet Fox Cakery offers premium vegan cakes in Bournemouth. There's a selection of unique and quirky celebration cakes to order from, even gluten free options are available. £2 from every cake goes to animal welfare organisations. I specialize in creating bespoke beautiful dairy free, egg free and vegan wedding cakes. I am located on the edge of the New Forest in between Dorset and Hampshire and happy to travel to the surrounding counties of Somerset, Berkshire, Wiltshire and London. I aim to provide a friendly personal service to design your wedding cake that is uniquely decorated to compliment your perfect wedding day. My style is a combination of floral, vintage, bohemian and woodland with a passion for creating handmade sugar flowers. I am passionate about wedding cakes tasting as good as they look therefore I only use high quality ingredients and all my wedding cakes are naturally dairy free, egg free and vegan - they taste truly delicious! anywhere in the UK. We make only fresh juices and smoothies on our funky juice bar, nothing is pasteurized. We also serve food such as veggie curries, soups, raw sweet treats, and of course our famous avocado on toast!